Venancio welcomed us to the San Blas Islands but more on him later. 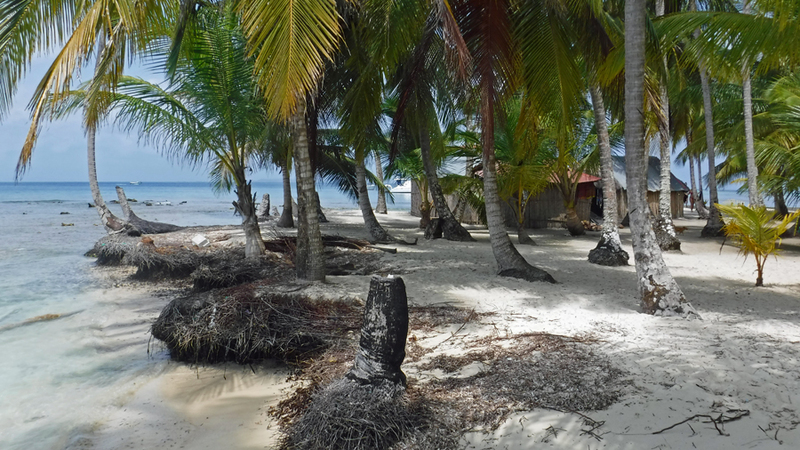 The San Blas Islands! Most people have no idea where these are. Don’t fret, neither did we before we started this adventure. 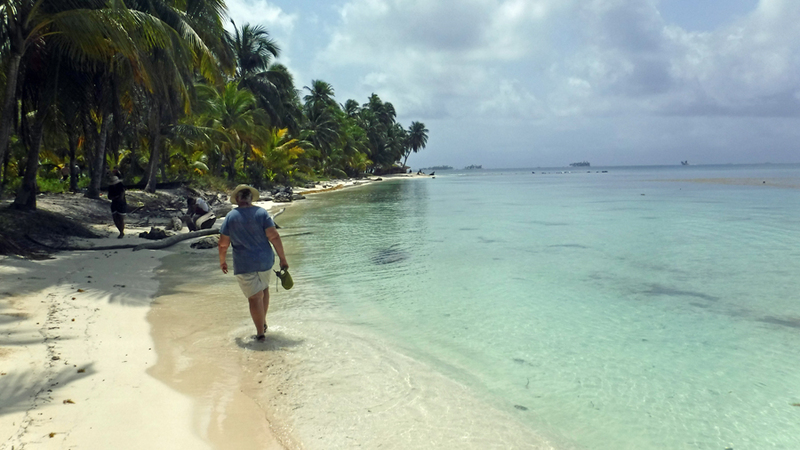 The San Blas Islands are a part of Panama, well sort of, on the Caribbean side. I say sort of because the people of the San Blas Islands have an independence from Panama and have their own governments and rules. This is somewhat like the American Indian tribes in the USA. This area of Panama is Guna Yala, formerly known as San Blas, is a comarca (indigenous province) in northeast Panama (Official Gazette of Panama). Guna Yala is home to the indigenous people known as the Gunas, who actually prefer to be called Kunas. In 1925 the Kunas fought the Panamanian authorities in what is known as the Guna Revolution. The Panamanian government was trying to force the Kunas to adopt Hispanic culture. The Kunas succeeded and for a short time became an independent nation called the Republic of Tule. The United States helped mediate an agreement with Panama and supported the Kuna. The territory called Guna Yala was formed and it was agreed the indigenous inhabitants would rule themselves and once again united with Panama. The Guna Yala region is comprised of the coastal mainland and about 365 islands. 49 of these are considered major islands and have small townships. 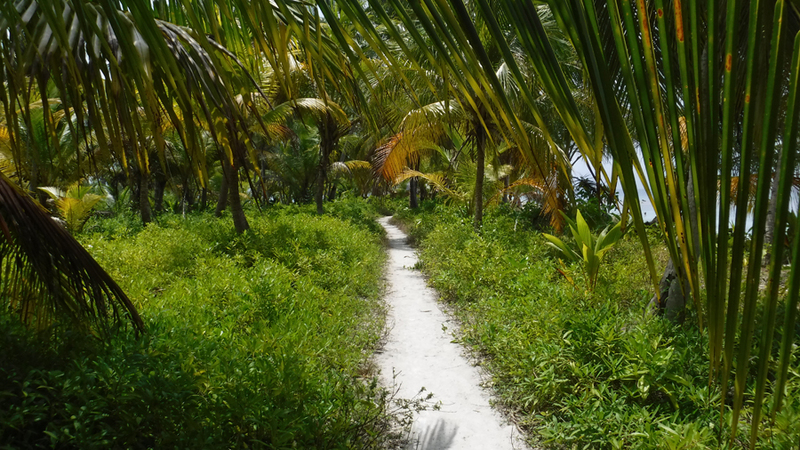 The islands are off the beaten track. Unless you have a boat, a friend with a boat or access to a charter boat, you can’t get here. I don’t think sea planes are allowed because of the many rules. There are a couple of small airports. Tourists can land here at Achutupu or Playon Chico. The domestic flights for passengers are in small planes seating about 12 people and have the strict checked baggage limitations of one bag each person weighing 14kg or less and one small carry bag. Passengers can expect to be weighed along with their luggage as the small planes have weight limits. At these airports cargo planes load fresh fish, lobster, crab, squid, and octopus, the trades of the Kuna. 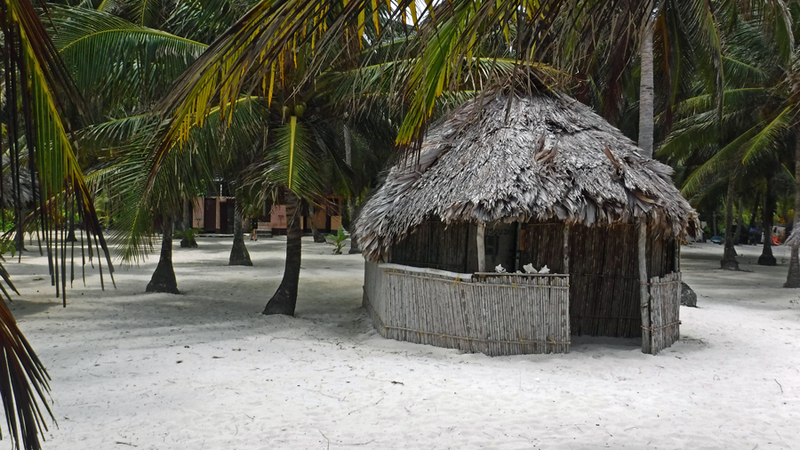 The mainland also has small settlements and the Kuna there follow the same lifestyle but the majority live and makes a living on the islands. Kuna live in a world some people dream about. At one point in the Kuna history the official currency was coconuts. It is not permitted here to pick up a coconut on the beach. It belongs to someone and to take it would be considered stealing. Think about a life with no mortgage, rent, car payments, credit cards, health insurance or utilities payments. And then imagine this life on a beautiful island full of swaying palm trees surrounded by crystal clear blue waters. 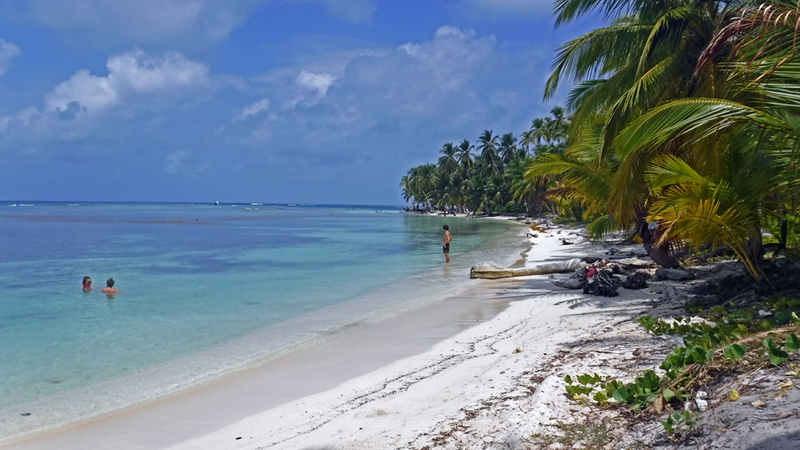 Some of the San Blas Islands are tiny and may host just one family living their entire life about two feet above sea level such as the picture at the top of this page. Some are large enough to have small townships. The Kuna people trade with each other. 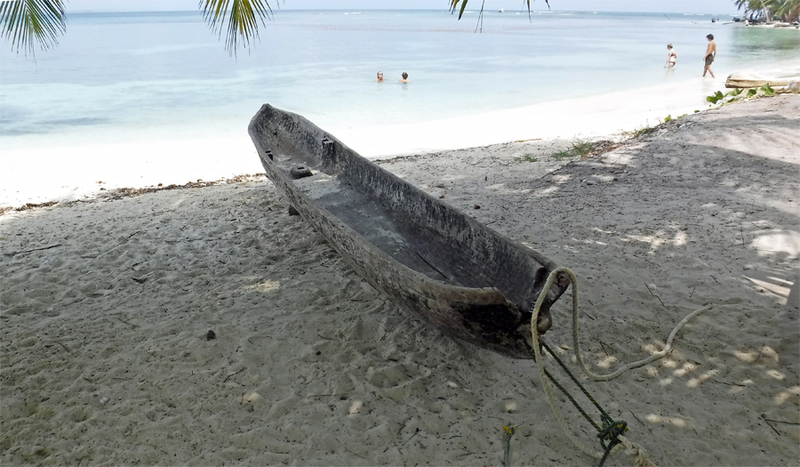 It is entirely possible for a Kuna to make a living as a single fisherman in a panga or collecting coconuts. There are very few places left in the world where a single fisherman can support a family. One person may look at these islands and think, wouldn’t it be awesome place to build a resort. This is exactly what the Kuna are trying to avoid. They deliberately make the islands hard to reach. They don’t want golf courses, spas and boutique hotels. They absolutely do not want their population working in the hospitality industry for minimum wage while a foreign corporation reaps the benefits. They do offer some hotels but if you stay in one of them expect to sleep in a hammock. Do not expect air conditioning. The food at the hotel will not be à la carte. You can expect a meal of fish, rice and beans. This is the diet of the Kuna. The term “ecotourism” was probably born here. If it wasn’t it should have been. The Kuna people are trying to preserve their culture and customs. Against all odds, they are succeeding. This is why people come here! 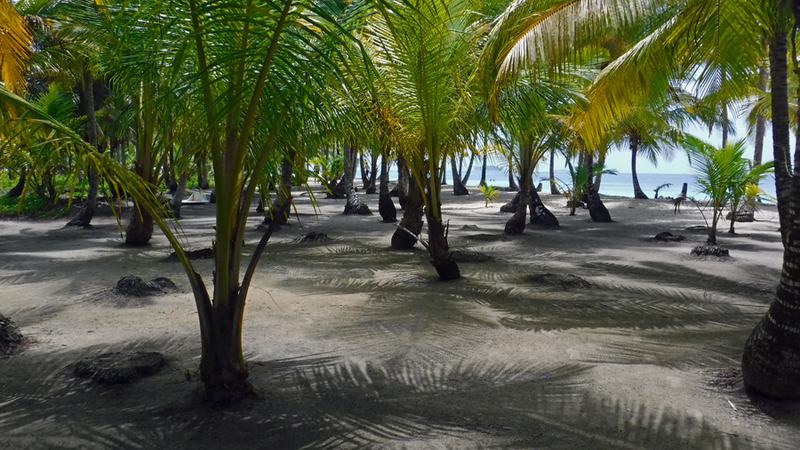 Being here among the smaller islands, a person gets the feeling they have stepped into an issue of National Geographic. The internet is sparse. By sparse, I mean virtually non-existent. There are a couple of cell towers pointed to the islands. 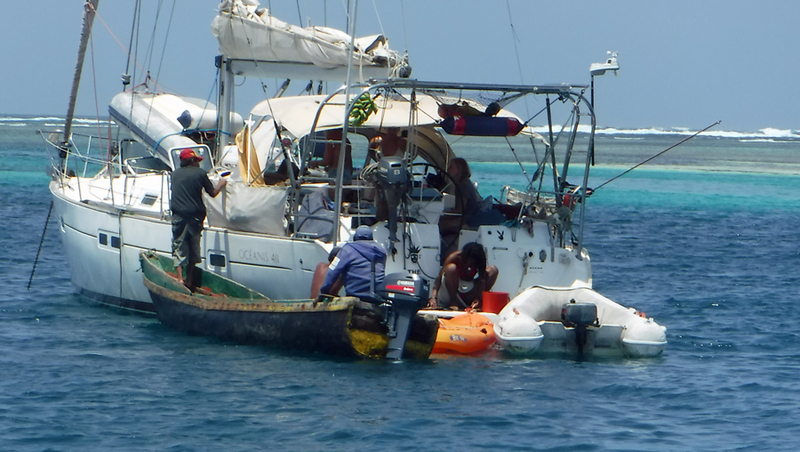 We put our phone in a dry bag and hoist it up the mast using a spare halyard in order to get a signal for a hot spot. 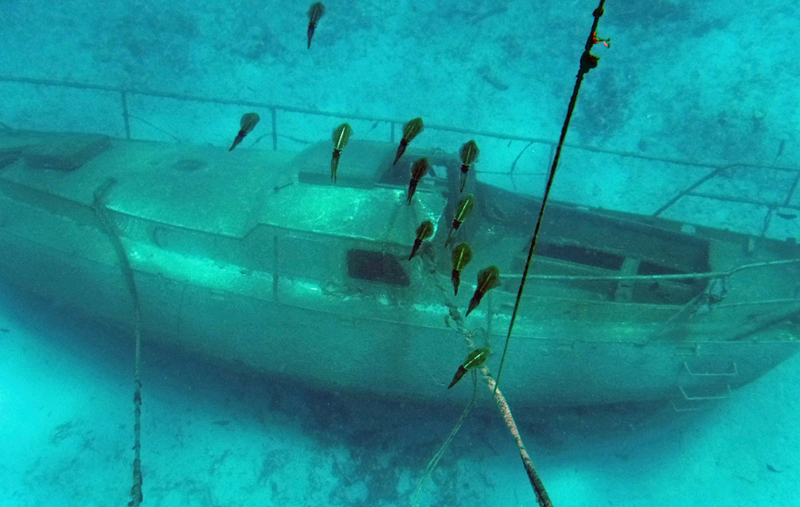 We learned this trick when sailing the Bahamas. Cell phones work off line of sight from the tower. If it can see the tower, it gets a signal. Putting it higher up helps eliminate some of the earth’s curvature. 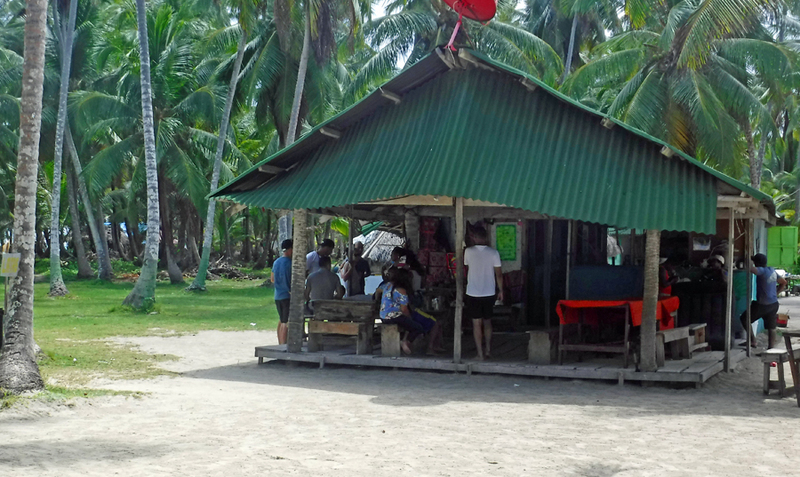 Many of the smaller islands have no electricity or utilities of any kind, hence no bills. Water is rainwater collected and stored (else transported from the mainland). Perhaps a couple of the homes will have solar panels or a generator. We read in our guide book how on these islands the Kuna gather at evening time in a common building and talk to each other. Imagine that! No TV, no internet; just you and your neighbors, if you have some, to entertain each other. I would bet the vast majority of the people living here have no idea what Obamacare or Brexit are. Nor do they care. There are a lot of rules here. The rules are intended to protect the simple way of life the Kuna have chosen. Kuna born people not wishing to accept this lifestyle move to Panama towns or cities for a more modern life. We read a BBC article about how women control the money and make the rules in the Kuna household. It went on to say how all jobs in the Kuna culture are respectful. A person collecting coconuts, fishing, a physician or a mom are all viewed equally important in their society. There is no status based on employment. I am guessing conversations do not start with, “What do you do for a living?” A question I used to find intolerable when meeting people for the first time. The person asking it may just as well boldly announce they are now getting ready to judge you based solely on your occupation. The Kuna culture is perhaps the world’s most advanced when it comes to accepting others for who they are. They have a long history of embracing transvestites and gays as being equal in their culture. Some of the many rules include: No smoking, no littering, no lodging on sailboats (meaning we cannot charter our boat here), no scuba diving (snorkeling is ok), no pets, no filming, no kite surfing, no fish harpooning, no plastic bottles, no drones, no wakeboarding and no surfing. Photographs are okay so long as the photographer asks for permission before capturing a Kuna person’s image. 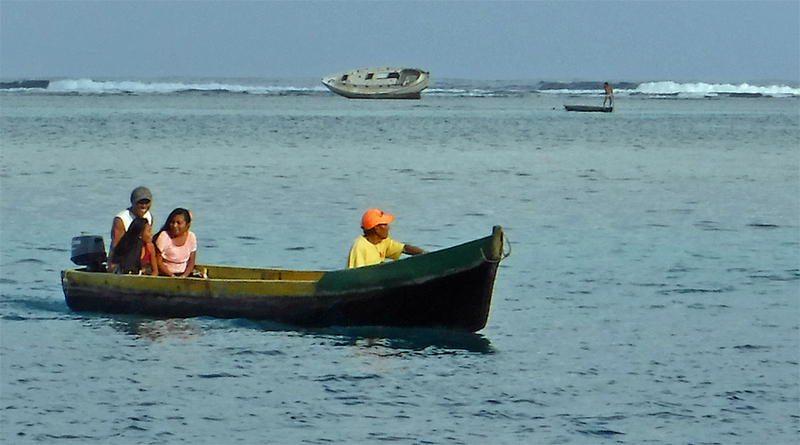 During the day our boat is often visited by Kuna people on pangas (small open boats). They sell fresh fish, vegetables, jewelry and molas. The production of molas is a traditional activity and source of income for many families. Mola means “shirt” or “clothing”. It is an intricate piece of needlepoint tapestry handmade using colorful patterns, denoting history or traditions. The designs are a part of the traditional clothing of the Kuna. They produce smaller works about the size of handkerchiefs to sell to tourists. 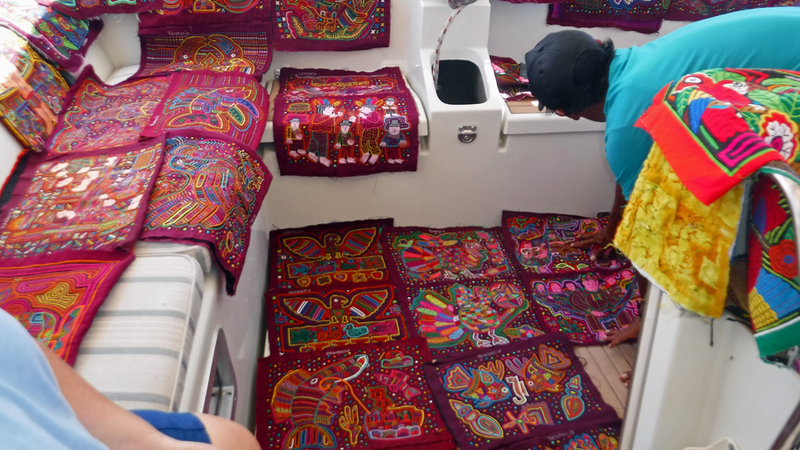 Prior to arriving in the San Blas islands we were told by some other cruisers the molas produced by Venancio Restrepo from the island of Maquina were the best quality. Venancio has made molas his entire life and is even featured on the Wikipedia page describing molas. We both thought a mola would make a great souvenir from our time here. 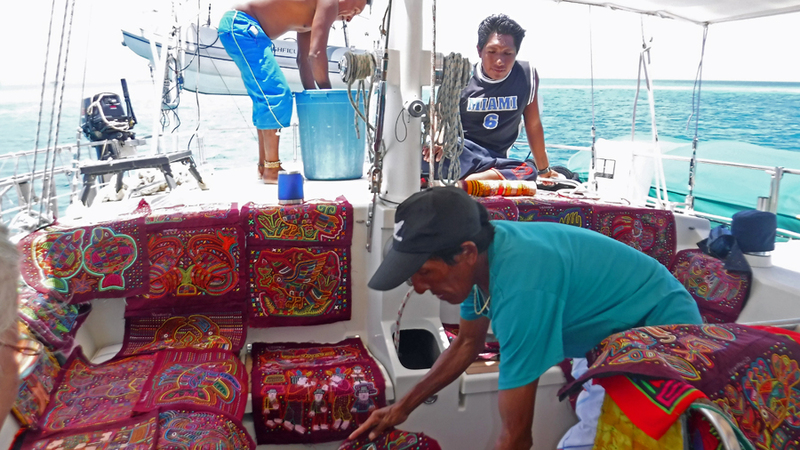 Cindy had already decided to wait and hope we would meet Venancio during our island hopping and opted to postpone buying any molas. 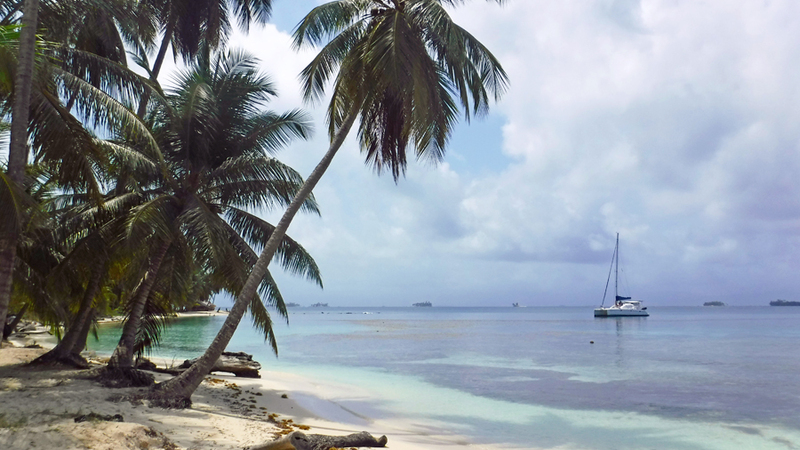 Our sail eastward from Linton Bay, our check-in point into Panama, to the western edge of the San Blas took the best part of the day. Cindy and I both worked our tails off in Linton Bay getting the Puffster ready for about 2 months of isolation in San Blas. We will be totally self-sufficient while here with a huge stockpile of food and our water-maker (a device making fresh water out of seawater to fill our tanks). Our diesel tanks are full and we have solar and wind generators to charge our batteries. 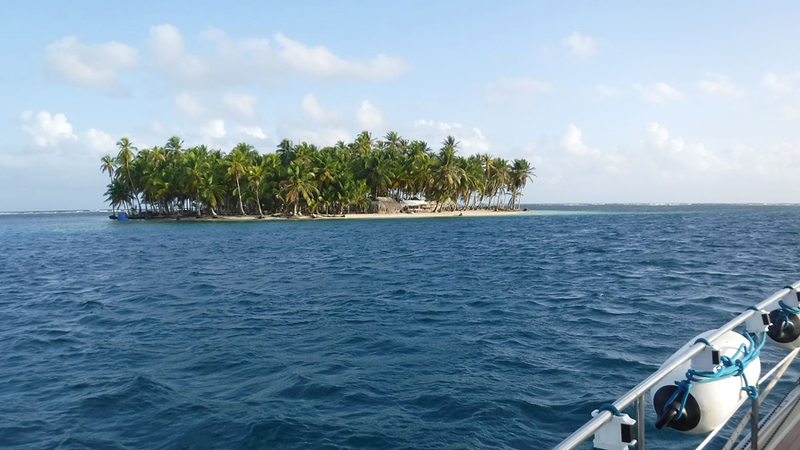 Arriving at an area of the San Blas called Chichime Islands, we anchored in a cove among about 10 other vessels. A nice surprise was finding friends already here who had watched us arrive via our AIS (a device that transmits our speed and direction while underway for navigational safety and collision avoidance). We anchored near them. Being pretty tired, we were ready to grab some dinner and call it an early night. Our first panga approached. The slender man in perfect English introduced himself as Venancio Restrepo and told us he sold molas. Cindy was so excited. Other cruising friends who had traveled here prior to us as well as a British couple we’d just met at Linton Bay told us that Venancio will take a lot of time to present his wares. People warned us to expect at least an hour. We asked Venancio if he was going to be in the area again the next day. He laughed and told us we looked tired and he would come back in the morning. After a good night’s sleep, we enjoyed a hardy breakfast and awaited the return of Venancio. He didn’t disappoint. It turned out the crossing from his island was a little bit too rough for Venancio’s panga so he recruited his brother, a tour guide, to bring him to our location. They were also joined by Venancio’s young nephew (whose name we didn’t catch – sorry). Welcoming the three of them aboard we offered pineapple or mango juice as a refreshment. This was eagerly received and greatly appreciated. For the next couple of hours Venancio presented his molas and sipped pineapple juice. It turned out his brother Idelfonso spoke even better English and helped Venancio with some of the communication. Vanancio’s presentation included showing us every mola he had made. This man has time on his side. We had nothing else to do and enjoyed every moment. He had two large plastic buckets full of molas. He went quickly through them one time describing the type of mola removing them from the bucket, unfolding them and stacking each making a tall pile in our cockpit. Some pictured cultural customs and traditions, others were traditional patterns and some depicted local fish or birds. Once he gave us the lay of the land, he went to work on the now foot high pile. Our job was to say, no or maybe as he held each one up. The maybes went onto another pile. The nos went back into the buckets after been carefully folded by Idelfonso. We wound up with a lot of maybes. We both had a hard time saying no to a particular piece because they were all so creative and beautifully crafted. The maybe pile was then spread out across the cockpit and we had to start making decisions. Molas are not cheap. They are hand crafted and the price range can be from US$30 for a smaller simple piece to US$150 for the very elaborate works. Narrowing our choices to eight, we made a deal. We were thrilled with our choices and elated we found Venancio. Venancio was happy. 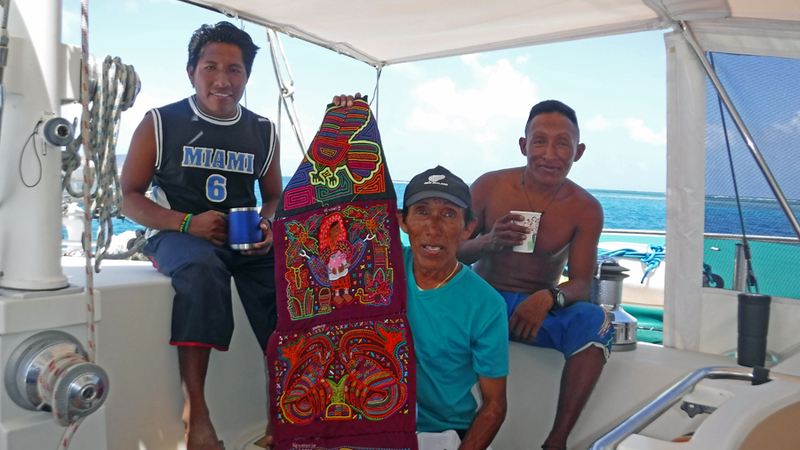 He gave us a warm welcome to the San Blas, a history of his islands and told us of some cultural traditions. We parted as friends and agreed to say hello if we stop near the Island of Maquina during our travels here.